My garden club, Connecticut Valley Garden Club held its monthly meeting today. While I always look forward to these meetings, today I was especially excited as a friend of mine was the speaker. Nancy DuBrule-Clemente who is the founder and owner of Natureworks of Northford came to speak about successions of bloom with native plants. Nancy is as crazy about gardening as I am (this can be hard to find) and her enthusiasm over plants is contagious. I love Nancy! 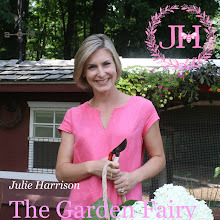 She is a super green gardener who uses native plants and organic products a lot. Let's go spring...I've got some planting to do!! !